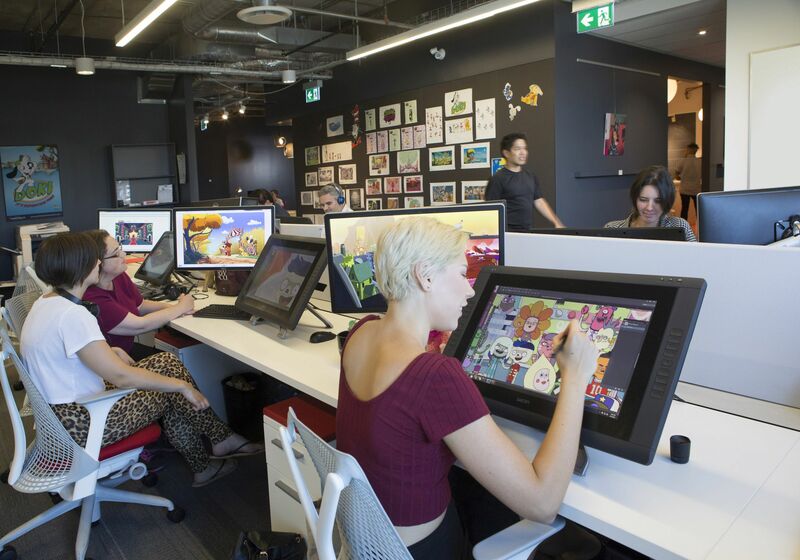 (September 21, 2015 – Toronto, Canada) – Producer and distributor Portfolio Entertainment is pleased to announce the launch of Portfolio Animation, a creative-driven animation studio equipped with top-tier talent, cutting-edge technology and commitment to excellence. The studio is part of Portfolio’s multi-faceted expansion plan that commenced in 2014 with the installation of a new senior management team to drive the company’s growth and diversification strategy. Situated in the creative hub of Toronto’s King West district, the new ultra-modern studio encompasses 9,000 square feet. Portfolio’s corporate office has also relocated to this facility. The launch of Portfolio Animation builds on the company’s distinguished track record in production, distribution and brand-building of award-winning animation content, including international success stories, The Cat in the Hat Knows a Lot About That! and DOKI. Senior Vice President of Production Julie Stall is at the helm of the new studio, along with Head of Studio Operations Sonya Carey, while Dave Beatty is the Senior Producer and showrunner for the studio’s first series Freaktown. The studio’s concept development, design, storyboarding, animatic editing and full animation services are complemented by Portfolio’s distribution arm, which brings international sales and marketing expertise to each project and ensures global success beyond the first screen. Tagged 2d Animation, 2D Animator, Animation, Animation Director, Animator, News.